Chamonix was the host for the first Winter Olympic Games in 1924. 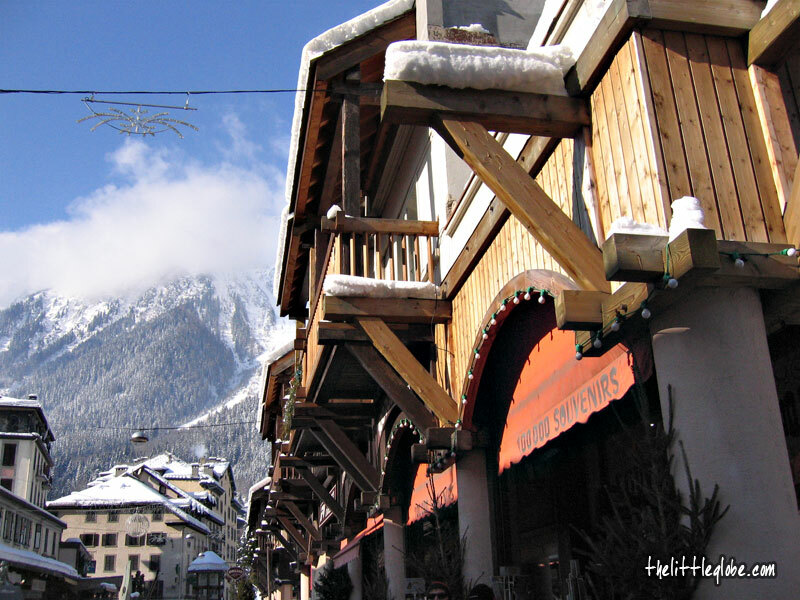 This French Alpine town is one of the most popular winter destinations in the country. During the weekend trip to Annecy, I had a chance to visit this charming ski resort for a day trip. It is located very near to the point where the French, Swiss and Italian borders meet. Italy is just at the other side of Mont Blanc, linked by a tunnel. Chamonix is the main gateway to the Vallee Blanche area, Mont Blanc and Aiguille de Midi, for skiing and mountaineering. Both activities weren’t the reasons for me though; maybe the spectacular view of the summit of Mont Blanc and seeing the town in winter were more likely to be the valid reasons. My friend showed me around the town and I had my first ever “vin chaud”, nice heated and spiced red wine. 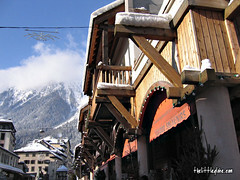 The town of Chamonix spreads along both banks of the River Arve, deep in the valley with many bridges connecting it. The views from the bridges are astonishing especially in the winter with show-covered roofs, crystal clear river running and show-capped mountains of the French Alps. 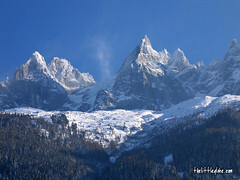 Chamonix is definitely a nice place to spend a day even for those who don’t ski. 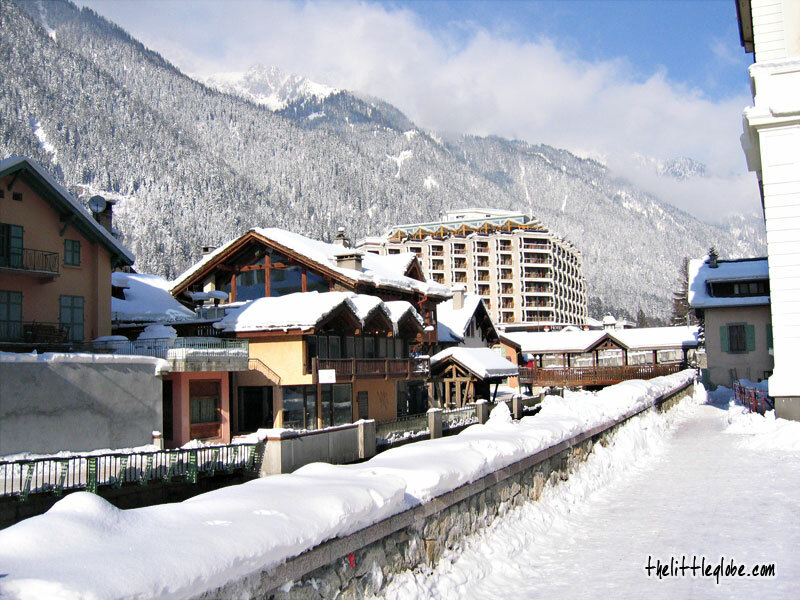 I enjoyed strolling around the streets, browsing the souvenir shops, having the authentic “vin chaud” of Huate-Savoie, and admiring the scenery, the beautiful town scene and the snow! But in most cases, I can only dream of visiting those exotic places. I dream of Geneva and I also dream of Munich. My dream is to have my honeymoon in Switzerland next Summer. thanks for the pictures.I will be there in March 2006.